The System Requirements listed on page 2 have been updated by Adobe. The system requirements are available here: . 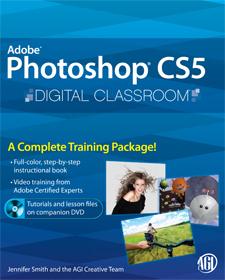 Open the file named ps0201, which is the starting file used for this lesson. After double-clicking the folder, you will see all the images you moved. The lesson file referenced is incorrect as written. The working file for this step is ps0603_work.psd. A new color picker was introduced after the book was published. The functionality has remained very similar but the design of the new color picker is quite different. Step is incorrect as printed. After you click Save, click Done in the Manage Site dialog box.